FIU has received an endowment to establish a pre-eminent program to develop strategies for preventing and treating obesity, diabetes, substance abuse and HIV/AIDS, which are prevalent in South Florida and the Caribbean. The program, dubbed the FIU Health Disparities Initiative, is funded by a $9.5 million National Institute of Health’s National Institute on Minority Health and Health Disparities grant. 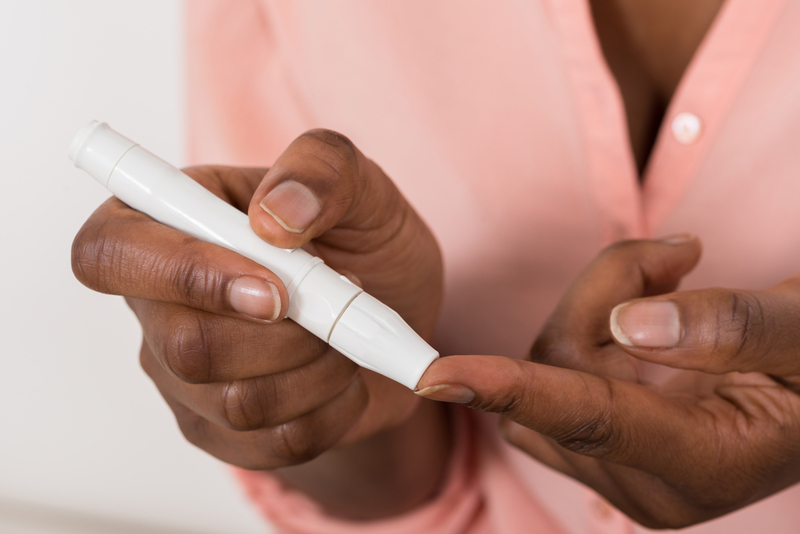 Funds from a new endowment will empower FIU to help vulnerable populations in South Florida and the Caribbean to better deal with chronic conditions like diabetes. The establishment of the FIU-HDI will have immediate and direct impact at FIU by building health disparities research capacity, with mid- and long-term impact on vulnerable groups through associated community-based research programs, interventions and solutions that will be developed. “This endowment means that FIU is on track to become one of the premier health disparities academic training and research programs in the country, serving the region of the United States and the Western Hemisphere that is most in need of such a program,” said Mario De La Rosa, a co-principal investigator in FIU-HDI, the director of the Center for Research on U.S. Latino HIV/AIDS and Drug Abuse, as well as a professor at the Robert Stempel College of Public Health & Social Work and the Herbert Wertheim College of Medicine. FIU-HDI will be able to recruit doctoral-level health disparities researchers who will conduct studies leading to solutions for reducing HIV/AIDS, substance abuse, obesity and diabetes in vulnerable populations across all age groups in South Florida and the Caribbean region. Additionally, the endowment will support three endowed faculty positions with expertise in health disparities and the establishment of a doctoral track in health disparities at the Robert Stempel College of Public Health & Social Work. FIU-HDI will also expand and strengthen the Herbert Wertheim College of Medicine curriculum by exposing medical students to health disparities research. “Through CRUSADA, FIU has established a long history of community participatory research—research that directly addresses reducing health disparities. We’ve also graduated research scientists that have gone on to focus their careers on reducing health disparities. This endowment will allow us to take our health disparities work to the next level,” said Andrés Gil, co-principal investigator on FIU-HDI, vice president for FIU Research and Economic Development, and dean of the University Graduate School. Gil explained that the increased capacity afforded by the endowment will allow the FIU-HDI to establish a health disparities innovation and technology transfer initiative within the Office of Innovation and Economic Development that will focus on the development and commercialization of technologies to help reduce health disparities for populations in South Florida and the Caribbean. “The health disparities technology component will focus on programs that deliberately address the gap between available treatments and available services or practice,” said Gil. Joining De La Rosa and Gil in FIU-HDI are co-investigators: Juan Acuna, associate professor and chair of the Department of Medical and Population Health Sciences Research at the Herbert Wertheim College of Medicine; and Elena Bastida, professor and chair of the Department of Health Promotion and Disease Prevention at the Robert Stempel College of Public Health and Social Work. If FIU uses ANIMAL testing in ANY way, we animal rights activists will shut you down permanently. Animal testing is an archaic form of research. Most of it is useless and extremely cruel. Use that money to acquire HUMAN SIMULATORS which are MUCH more accurate. If not, FIU is in for a rude awakening. CONGRATULATIONS! A tremendous opportunity and responsibility placed under the able hands and brilliant minds of outstanding scientists and leaders.